This study sought to compare the efficacy of isokinetic and progressive resistive exercise (PRE) programs in patients with knee osteoarthritis (OA). Forty-four patients with bilateral knee OA were included in the study. The patients in Group 1 (n=21) performed isokinetic exercises and the patients in Group 2 (n=18) performed a PRE program. Disease severity, pain, walking time, WOMAC, Lequesne index, AIMS2 and SF36 were compared before and after the treatments. All the patients were evaluated via a Cybex isokinetic device before and after treatment. Disease severity, pain, Lequesne, WOMAC and walking time improved with treatment in both groups. In SF36 and AIMS2 assessments, pain and social evaluation parameters in the PRE group showed better improvement. On isokinetic assessment flexor and extensor peak torque and peak torque body weight values improved significantly in both groups compared to pretreatment measurements. When the assessed parameters were taken into account no statistical significant difference was observed between the two groups. Our conclusions were that isokinetic and PRE programs are efficient in the treatment of knee OA; no statistically significant differences could be found between the two programs; and the PRE program, as it is cheaper, more easily performed and efficient, may be preferable for the treatment of knee OA. 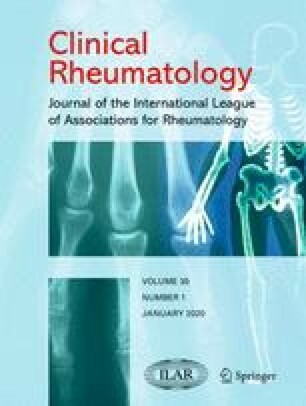 This study was presented in a poster format at the 65th Annual Scientific Meeting of the American College of Rheumatology, which was held in San Francisco, California between 10 and 15 November 2001.